Is one life more important than another? It depends on whom you ask, says author Douglas Hofstadter. 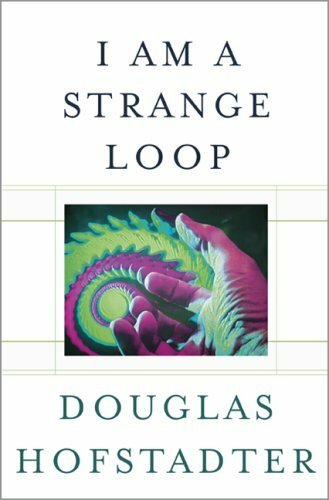 In his more recent book, I am a Strange Loop, Douglas Hofstadter attempts to philosophically solve crisis and conflict by suggesting that all living beings have a soul. Certain beings, of course, have less of a soul than others, less of a recognition of being alive than other beings that he quantifies this through a series of ratings that leads to a scoring of that living being’s soul. For the purpose of quantifying these numbers in a display, he uses the term “light count” to describe an accumulation of a quantification we’ll call Hofstadters. Our term will be the over-arching term he uses to describe the quantifiable power of the soul. Douglas Hofstadter provides the reader what he calls a personal “consciousness cone” that he believes describes the level of consciousness a being has of its own existence. The adult human has 100 Hofstadters, for example, the dog has 80 Hofstadters, the rabbit has 60, the chicken has 50, the mosquito has 30, and the atom has zero Hofstadters. Hofstadter lists the atom at the bottom, as a result of the fact that the atom has the least sense of its own life, and the least sense of consciousness than any other life form, and at 100, the adult human has the most. He does not explain, however, how he can quantify that the rabbit has more of a sense of its own consciousness than the chicken does, or why he rates the bee over the mosquito. Ir’s left to the reader to believe that the author has very specific reasons for all the scores of the entries in his “consciousness cone” but it seems arbitrary in places. The Hostadters given to adult humans are more relative than any other being however, for the adult human has more ability to increase their soul’s light count, and damage it, than any other being. Some humans, Hofstadter writes, can achieve a score higher than 100 Hofstadters, depending on how much meaning they bring to the definition of life, and the manner in which they changed the definition of life for others. Jesus of Nazareth and Mahatma Gandhi could be said to be two people that changed the definition many people have of life for the better, and they would achieve more than 100 on Hofstadter’s scale. Adolf Hitler, Josef Stalin, and Mao Tse Tung, on the other hand, diminished the value of life for many, and in general, through their mass slaughter, which basically means that if there is an afterlife, they would spend it rectifying the damage they did to life on Earth, and as a result they could be given a score less than zero. If Hofstadter kept his scoring process broad in this manner, we might not have a problem with it in the macro or the micro, but like most modern philosophers he can’t help but bring modern politics into the discussion. He begins by begging the reader to understand that the term “the soul” he will refer to in future passages, is not “the soul” most normally associated with religion. This distinction is made, presumably, to allow Hofstadter to keep that foot in the collegial halls of academe he achieved with his first book. Hofstadter suggests that his version of the soul is more of a sense of consciousness, a lightness of being, a sense of self, and a sense of consciousness about their life. In Hofstadter’s definition of a soul, the dog has a soul, and that soul is more powerful than the mosquito’s, because the dog has more of a sense of its own life than a mosquito does, but it does not have the sense of life, or philosophy, that the adult human does. Next, Hofstadter suggests that those adult humans that would kill a man, via Capital Punishment, have less of a soul than those that abhor such activity. This is particularly the case, suggests Hofstadter, if the death row inmate is screaming for his life in the “dead man walking” trip to the gas chamber. So, if a “dead man walking” goes quietly, with lowered eyebrows, dark lighting, and a scary soundtrack, the people leading him to the gas chamber presumably have less to worry in their accumulation of Hofstadters in their light count. One would think that Hofstadter would be point blank in his scale that if you take a life, with malice and forethought, you owe something to the general definition of the value of life that cannot be recovered, and you are destined to a less than zero existence, but for Hofstadter emotion, and remorse, appear to assist in giving you a greater “light count” than the unapologetic. The latter half of this paragraph involves interpretation for Hofstadter makes no specific distinction between the two, except to say that the henchmen involved in the death sentence are the ones that suffer by scale. The reader is also left to wonder if Hofstadter might be influenced by the theatrical drama some movies bring to the dead man walking scenario. There is also no mention of the potential diminishment of Hofstadters that the aborting mother may incur as a result of deciding to abort this potential light source. This is a non-issue in Hofstadter’s narrative. With capital punishment Hofstadter draws disparities between those that would lead a screaming man to his death versus the ones that lead an unrepentant man to his death, but he doesn’t draw any distinctions between the women that would take the potential life that would be screaming if the woman gave it the chance to become a light source outside the womb, and the woman that allows the innocent, potential light source to live. If his inconsistencies were a mere sin of omission, we would have nothing to write about, but Hofstadter dives right into the fray and develops hypocrisies that require analysis for their hypocritical lack of objectivity. He fails to draw such lines of distinction along philosophical parallels, in other words, and he loses points in an objectivity count with these inconsistencies. The author informs us that one of the keys to living a life as compassionate as his for lower life forms, a level he imparts is defined by placing spiders one finds in one’s home outside the door, in a gentle, compassionate manner, is to celebrate, honor, and respect the idea that lower forms of life have a soul. He implicitly states that you’ll know that you’ve achieved his level of heightened awareness if you’re so overcome by the infinite reserves of compassion in your system that you one day pass out as a result of handing a test gerbil to a research scientist for its use. This revelation informs us, perhaps implicitly, that one of the keys to being wonderful, or accumulating a greater light count, involves not only performing charitable deeds, but publicly declaring them for the publicity one receives for doing so. What’s the point of performing charitable deeds, in other words, if you cannot toot your own trumpet? Some readers may find Hofstadter’s writing a breath of fresh air, and others may view it as nakedly transparent, but if Hofstadter’s purpose is to provide an objective view to import a sense of life, or philosophical view on the value of life, few can deny that it is inordinately subjected to his political views. He informs us that he has found resolution to his own conflicts by being so compassionate that he is overwhelmed beyond his ability to retain consciousness, and that his concern for light counts and souls, both large and small, leads him to being a vegetarian that will not eat those light sources with greater potential for greater placement on his soul scale. He leads us to believe that he is a man in tune with all political variables for resolving conflict, but in the end it is obvious that all of his philosophical peculiarities line up on one specific side of the philosophical aisle, and that he finds no sense of conflict there.